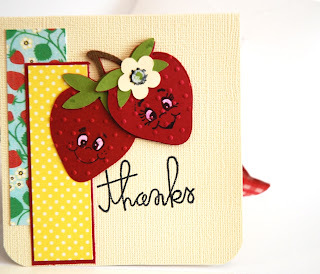 CardMonkey's Paper Jungle: Strawberry Thank You Card ... And Blog Candy Winner! 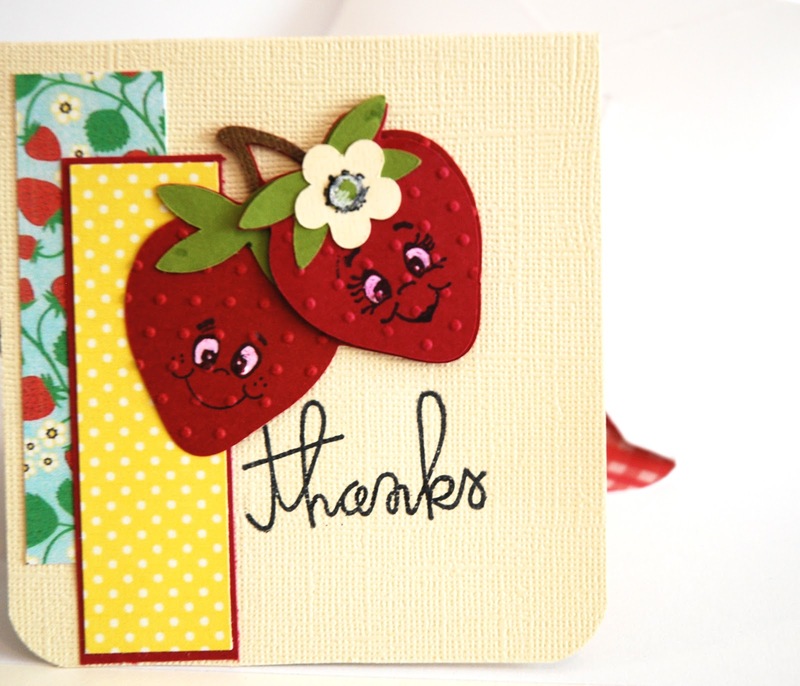 Strawberry Thank You Card ... And Blog Candy Winner! This is a thank you card for the same set, with cute custom dimensions of 4" wide by 4.25" high, with custom envelopes too. For this card, the featured image (strawberries) is cut using Cricut's "Preserves" cartridge -- one in the double strawberry, and also the single one. The "girl" strawberry is cut from slightly lighter toned red stock, and is lifted with foam tape for dimension. They're stamped with Peachy Keen faces that I made a little different by adding lashes and cupid-lips to the girl, and freckles to the boy. Their eyes have been whitened with a Gelly Pen. After stamping and coloring the eyes, I ran the strawberries through a Cuttlebug Swiss Dots folder. 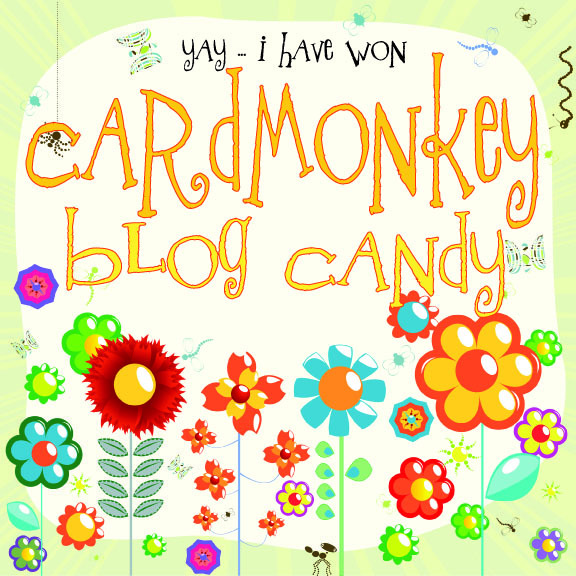 It's my pleasure to announce the winner of my blog candy from the "...and Felicity Makes 10!" Blog Hop yesterday. The winner of the Paper Source "Do Something Creative Every Day" stamp is (drumroll!) ... SUZANNE, "Cricut Craftin Grammy". Suzanne, please send an e-mail to me with your mailing address, and I'll get it out to you right away. Feel free to pick up this winner's button for your blog, if you'd like! So excited. 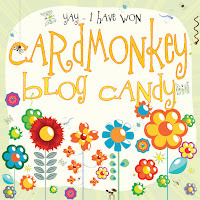 I loved your blog candy stamp prize. So cute. Was great fun doing the hop with you. Will send you my address. What a cute strawberry card -- I can't wait to see what other cards you come up with for this hostess gift :) Congrats to Suzanne! This lil card is "BERRY" cute. LOL. I super love those lil stawberries. What a wonderful happy colourful card.